Question #1: Do you see yourself as a perfectionist? Keep in mind that while marble countertops don’t stain easily, they do become etched. When acidic items, such as lemon juice, tomatoes, and vinegar come in contact with marble, the calcium in the stone can become etched. This will give the marble a different appearance when light hits it a certain way. Keeping up with sealing can minimize this from occurring, but if you are the type that cannot fathom any flaw in your counters, marble countertops are probably not your best choice. Question #2: Will you feel like you settled for something less than you wanted? While there are options out there than can look a bit like marble countertops, they really do pale in comparison. If you were to go with something else, will you look at it every day wishing you hadn’t listened to the naysayers? Consider the many marble floors in the world – if they can handle decades and even centuries of foot traffic, marble can surely give your counters lasting beauty as well. Here at The Granite Guy, our main goal is for you to be happy with your new countertops. 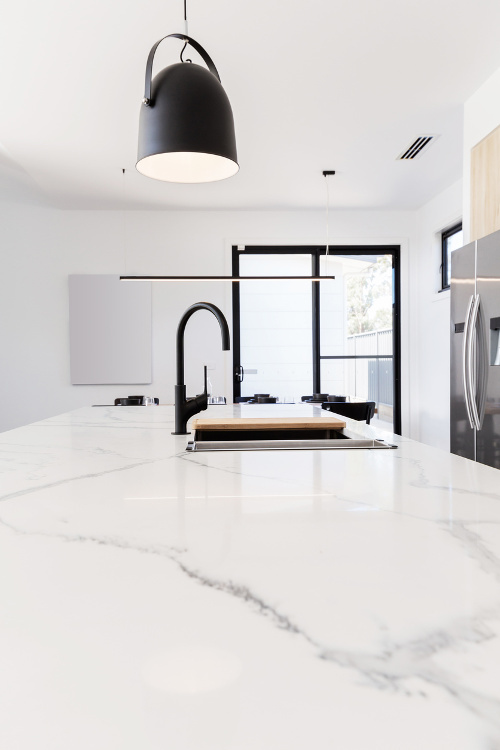 We make sure you understand the advantages of each type, so that if you do go with marble countertops, you’ll do so with an understanding of marble’s benefits and its challenges. Feel free to contact us if you have questions about our marble countertops or any of our other products and services.